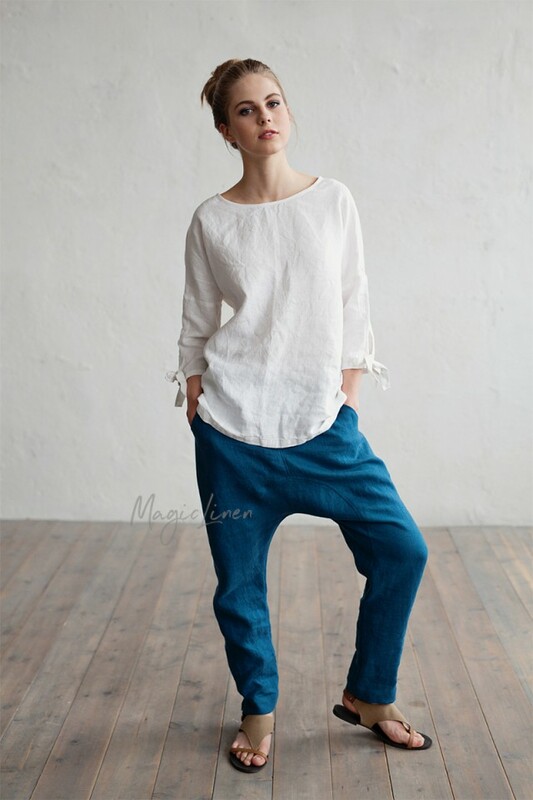 Linen top available in all MagicLinen clothing colors. 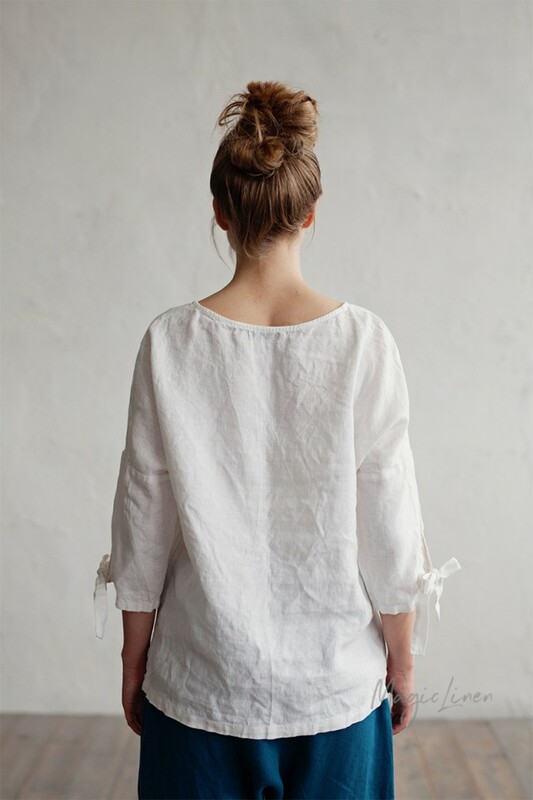 Designed to have a relaxed fit, this linen top features ¾ sleeves with ribbon ties on each end that can be tied together or left to hang loose. 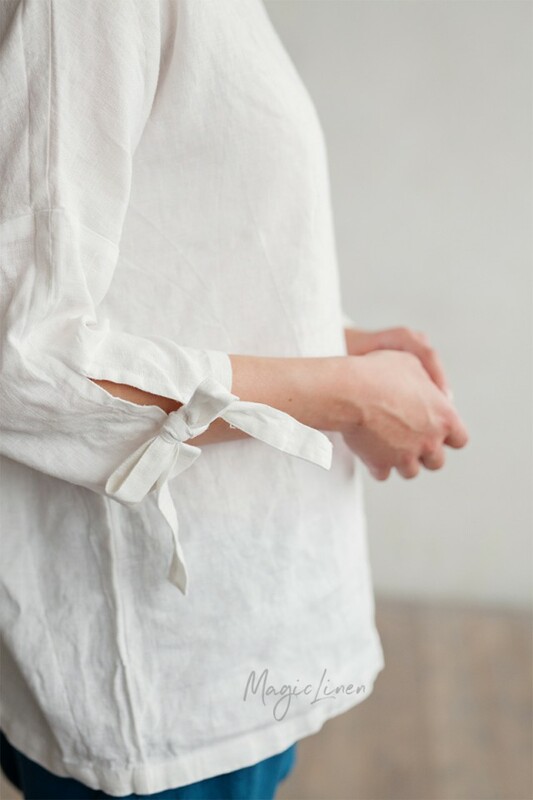 Breathable, lightweight, and effortlessly stylish, it can be layered over trousers, jeans, shorts or a skirt.